?Cilucu-Can I love you, Cutie? ?Cilucu Boutiques are designed to smash photo, birthday party, every day wear and just for fun. that all children can have a happy childhood and colorful life with Cilucu Boutiques.? ?Suggest sizing of Girls Sequin Dress? we also want to protect children's princess dream. Hope your darling will love them.
? What's in the package ? Thanks so much for looking. If you have any question, please contact us, we will reach you within 24 hours. 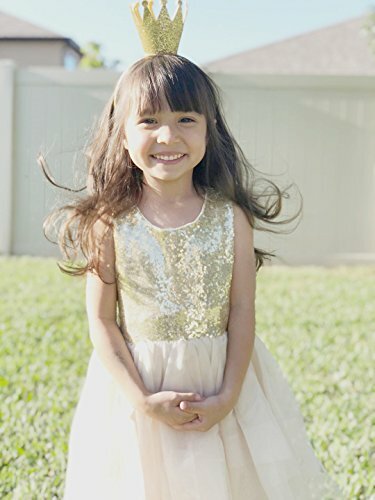 ?SOFT COTTON INSIDE: Girls gold sequin dress. Lining of the dress is soft cotton. Super SOFT. 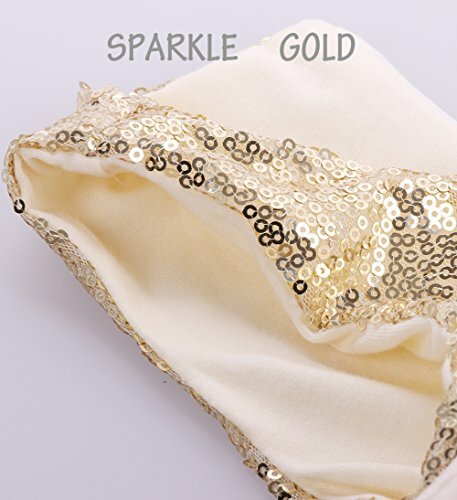 Sweat-absorb ?SPARKLE on BOTH SIDES of DRESS: Sequins of baby dress are on both sides over the top shiny and extra sparkly. Ready to wear to any Posh occasion. 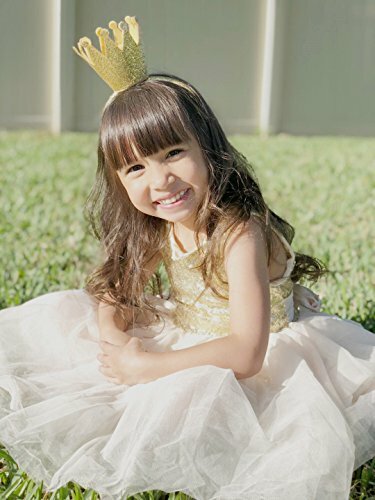 Adorned with free gold headbands ?BIRTHDAY OUTFITS and PHOTOSHOOT recommended: These Gold Sparkly girls party tutu dresses are a MUST HAVE for any little girl's wardrobe. They are perfect for a cake Smash photo, Birthday party Outfit, everyday wear, any ADORABLE time, just for fun! 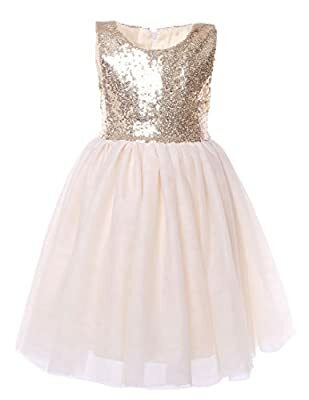 ?FASHION TUTU DRESS: Toddler girls summer golden dresses, with tulle on bottom of the aline dress and free match sequin headbands, available for 0-8 years old baby girls. 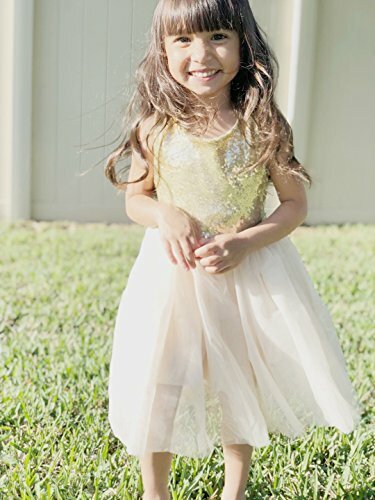 Zipper on back of kids dress with three layer tulle and a cotton line bottom ?GUARANTEE: We Stand Behind "CILUCU" designed product 100% and if you are not happy with your purchase in "CILUCU" store, we will issue you a full refund or replacement of your product. CHOOSE "CILUCU", OUR SERVICE AND BOUTIQUES QUALITY WONT LET YOU DOWN!